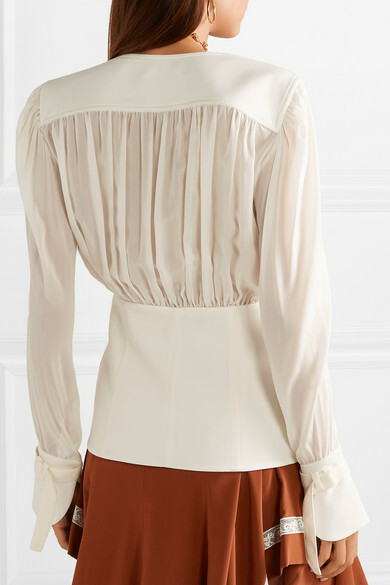 Chloé's blouse is a nod to the more refined vibe that Creative Director Natacha Ramsay-Levi has brought to the label. 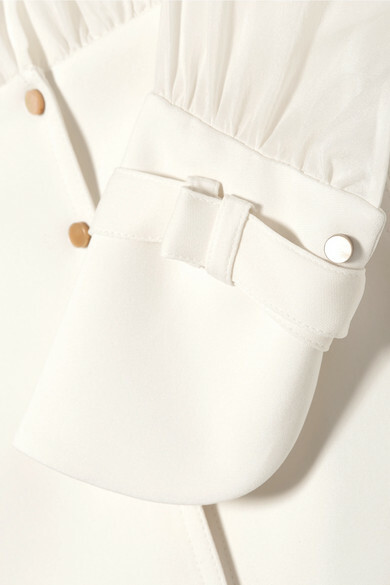 Made in France from silk-chiffon and cady, this style is gathered along the shoulders for a touch of volume and punctuated with iridescent mother-of-pearl snap fastenings. Mimic the runway styling and wear it with pants and the brand's boots. Shown here with: Chloé Skirt, Chloé Shoulder bag, Chloé Ankle boots, Chloé Ring, Chloé Ring, Chloé Choker.